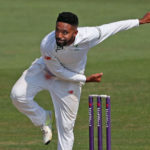 Dwaine Pretorius starred for the Lions with a career-best 6-38 against the Dolphins, while Tabraiz Shamsi worked his magic once more on his way to 5-83 on day two of the sixth round of 4-Day Franchise Series encounters. 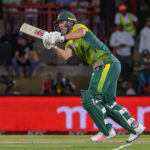 The Paarl Rocks secured a six-wicket victory over the Jozi Stars at the Bullring to stay in contention for a playoff spot in the Mzansi Super League. 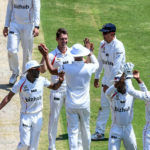 The Jozi Stars cruised to a convincing 53-run victory over the Durban Heat, thanks to a commanding century from Reeza Hendricks and a sensational 4-27 from Kagiso Rabada. 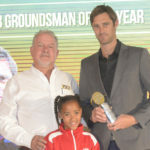 One of the most anticipated events on South Africa’s cricketing calendar is back! 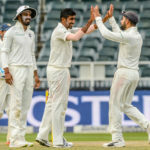 The eighth Momentum ODI PinkDay will take place during the fourth ODI between the Proteas and Pakistan on Sunday 27 January 2019 at the Bidvest Wanderers Stadium. 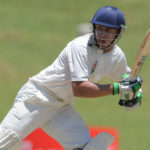 The Cape Cobras stamped their dominance against the Lions on the first day of their 4-Day Franchise Series encounter at the Wanderers. 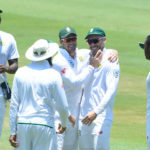 The ball that rapped Faf du Plessis on the finger sparked a change of mindset and spurred the captain on to his eighth Test hundred. 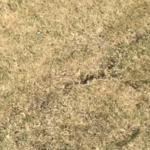 His bravery is our Play of the Day. Shikhar Dhawan hit 109 as India set South Africa a target of 290 for victory in the fourth ODI at the Wanderers. India have won the toss and decided to bat in the fourth ODI against South Africa at the Wanderers. 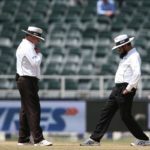 The Wanderers has been handed three demerit points for a ‘poor’ pitch in the third Test between the Proteas and India. 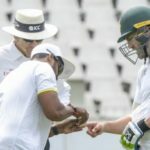 Former West Indies fast bowler Michael Holding has slammed the Wanderers wicket for the third Test. 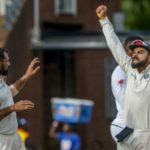 India played superbly to fight back at the Wanderers and show they’re not just flat track bullies.